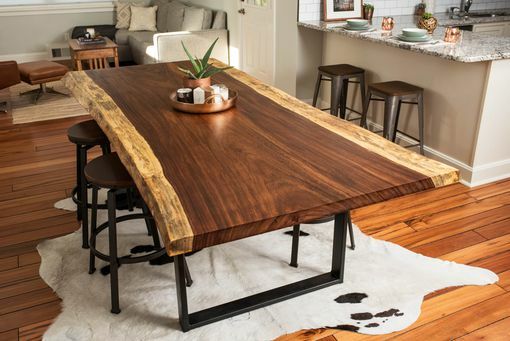 Take a look at this one-of-a-kind live edge acacia dining room table that is sure to be a conversation starter every time you have guests in your home. 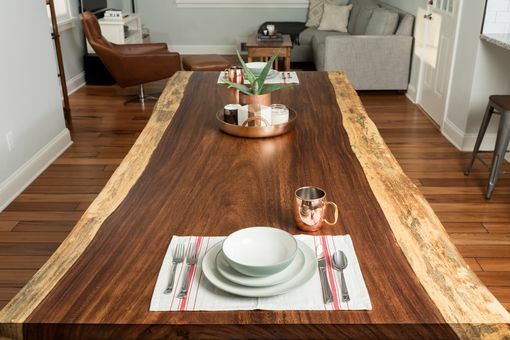 The slab used to make this table was from a sustainably harvested tree in Costa Rica and measures 96" x 46" x 2.5". 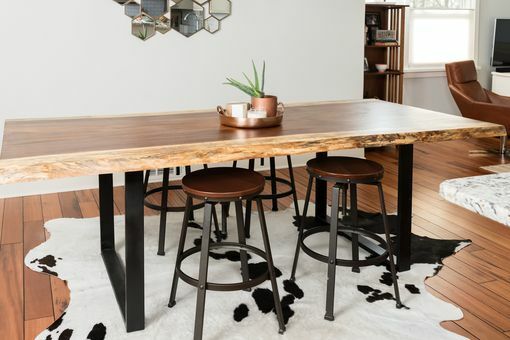 The dining table itself is 30" high with the 3" wide steel tube legs attached. 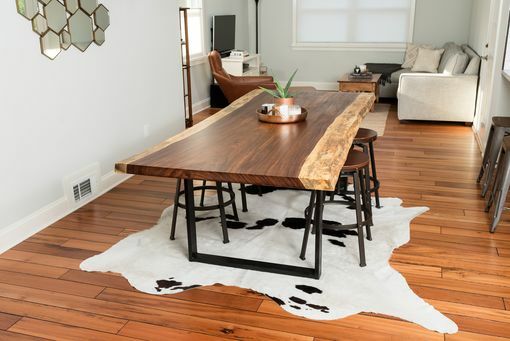 We used multiple coats of resin modified tung oil over several days to enrich the natural color and add protective layers on the outside of the wood. Shipping will vary - please let us know if you're interested in a quote for shipping prior to buying this piece. Contact us if you're within 50 miles of Charlotte, NC for free pickup or a small local delivery fee. 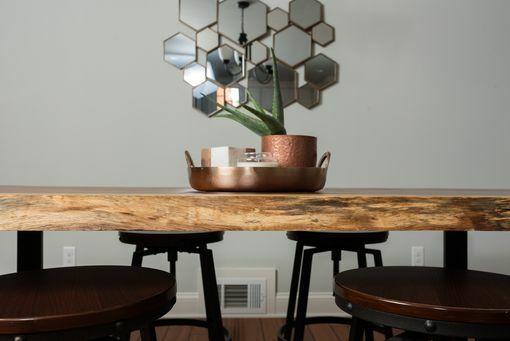 This piece won't last long - so please check in with us now!